The snowfall warning first announced Sunday and renewed for two more days is finally over, but flurries are still in the forecast, it turns out. 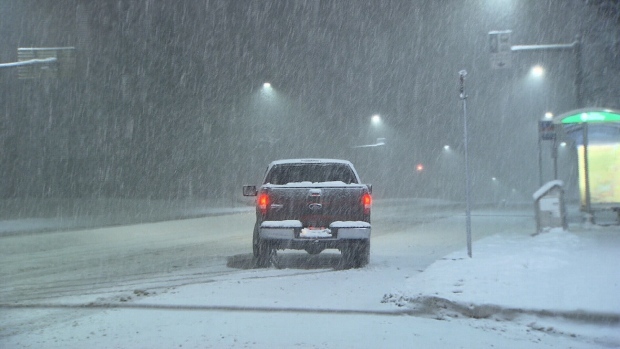 Environment Canada issued a special weather statement Wednesday night for Metro Vancouver warning of a "wintry mix" with a storm forecast for Thursday night and Friday. "Wet snow will likely begin over the South Coast Thursday afternoon or evening. Current assessment suggests that Howe Sound, Sunshine Coast, as well as eastern and inland Vancouver Island will see five to 15 cm of snow by Friday morning. 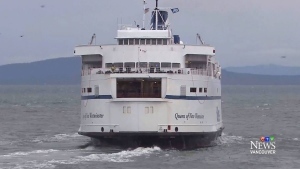 Lower amounts are expected elsewhere at the moment," the agency said in a statement. The precipitation is expected to change to rain over parts of Metro Vancouver, Greater Victoria and the southern Gulf Islands on Thursday night. Friday, Environment Canada forecasts a high of 4, but they're also expecting rain showers or flurries at some point during the day. By Saturday, the high is expected to climb to 5 and there is no risk of rain in the latest seven-day forecast. While the temperature is still expected to be around the freezing mark overnight, daytime highs are expected to edge closer to the seasonal norm of about 8. 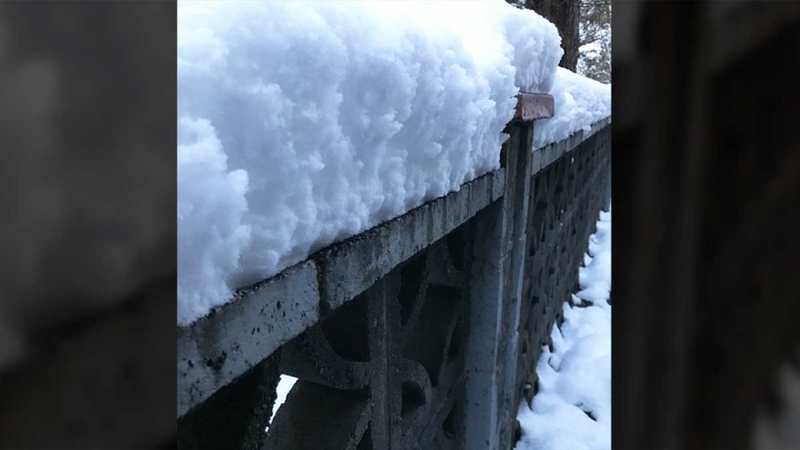 A snowy railing is pictured in East Vancouver Wednesday, Feb. 13, 2019.